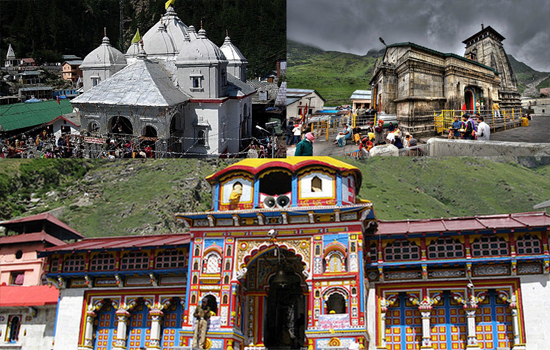 Char Dham Tour - Char Dham is most sacred place in Hindus. 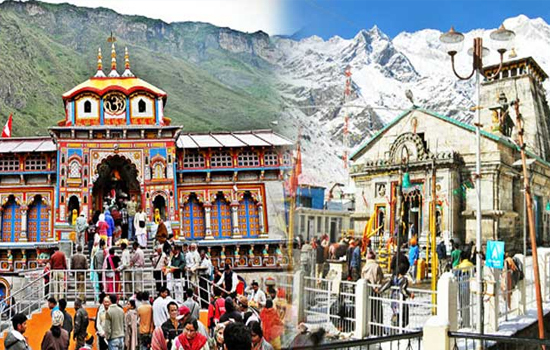 Chardham Yatra (tour) is one of most holy pilgrimages in India. The word Char Dham was foremost used by Hindu reformer and thinker "Sri Adi Sankaracharya". The Char or four Dhams or abodes are the four home places of 4 Gods of Indian mythology. According to him visiting these 4 places can make the sins of your life time go away. So go for this and make a full alter in your life. Char Dham Tour was first conducted by "Sri Adi Sankaracharya" and still now it is the most positive pilgrimage trip in India for Hindus. Throughout every pilgrimage time (April to November) approximately 250000 people gather here to make their life free from sins. These 4 dwelling places are Kedarnath, Badrinath, Gangotri and Yamunotri. All of them are to be found in the Himalayas. The abodes can be coved with one trip only. 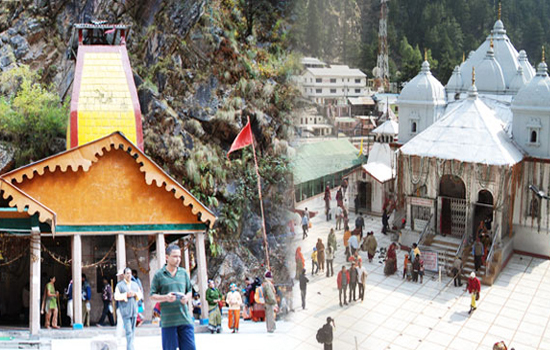 The first place of Char Dham Tour is Sri Yamunotri Dham. As the name suggests this is the source of the River (goddess) Yamuna. The regular prayer and pujas are offered here. The everyday aarti is one you must not miss. The second destination Sri Gangotri Dham is the birthplace of River Ganga or Goddess Gangs. A bath here can make you free from all sins of several lives. This makes people to gather here facing many problems. During this journey you can stay in the hotels of Pahata, Pipakoti. They are really cool with their fine ambience and great food. The Char Dham Tour then moves to Sri Kedarnath Dham. This is the dwelling of Lord Shiva. This is also one of the 12 "jyotirlingas" of the Lord Shiva. So people coming here from various parts of the country can get moksh with only a view of it. The final destination, Sri Badrinath Dham is the dwelling place for Lord Vishnu. Here the Yatra of a life time ends and you are sure to get the purity of human life by conducting this wonderful Yatra. 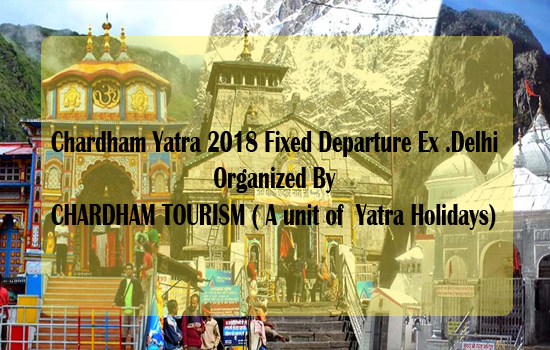 Char Dham Tourism provides Char Dham tour package 2019 with four well-known pilgrimages that are Gangotri tour, Yamunotri tour, Kedarnath tour, Badrinath tour, Ek Dham Yatra, Do Dham Yatra, and Teen Dham Yatra. 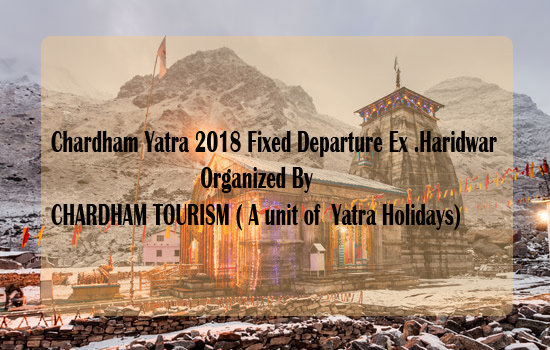 Chardham Tourism offers Char Dham fixed departures Tours from Haridwar at the May, Aug, july, September, and October months. 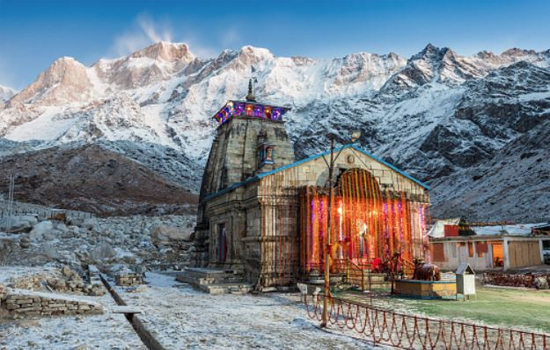 Char Dham Yatra Tour Package Cost Per Person - INR 16000 and Validity till 30 October 2019. Chardham Tourism offers Char Dham fixed departures Tours from Delhi at the May, June, Aug, September, and October months. Chardham Yatra Package Cost Per Person - INR 19500 andValidity till 30 October 2019. There are few places in the planet as sacred as Badrinath. Ever since times immemorial, the town has enjoyed a highly revered grade. The main magnetism in Badrinath is the temple of Badrinath which is believed to have been built by Adi Gguru Shankaracharya. Best time to visit Badrinath is from May to June. There are quite a few visitor places in Kedarnath. The visitor's guide to Kedarnath briefs you upon the places and their importance. The Kedarnath temple, built in the 8th century by Adi Guru Sankaracharya lies adjacent to another temple built by the Pandavas. The tomb of the Guru is behind the main shrine. Royally to be found in the beautiful hills of Garhwal in state of Uttarakhand, Gangotri is a place which one must visit at least once in their lifetime. Positioned on the Greater Himalayan range, Gangotri has an altitude of 3,048 m above sea level as per the visitor's guide to Gangotri. The most important thing to keep in mind about Yamunotri is that the Yamunotri Shrine is usually closed from 3rd week of November to the 3rd week of April due to the very chilly climate that makes it very difficult for visitors to trek their way uphill to Yamunotri. Best time to visit Yamunotri is between the summer months of May and June. Chardham Tourism provide Gangotri Badrinath Yatra in one Tour. The beginning of the river Bhagirathi is in Gangotri. It is sited at the height of 3042 meters. The major deity here is goddess Ganga. 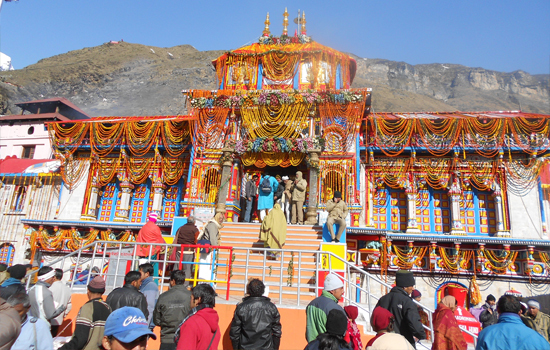 And another Dham at the altitude of 3133 meters in Garhwal, Badrinath is the abode of Lord Vishnu. A remarkably gorgeous place Badrinath is measured as the holiest of all dhams. 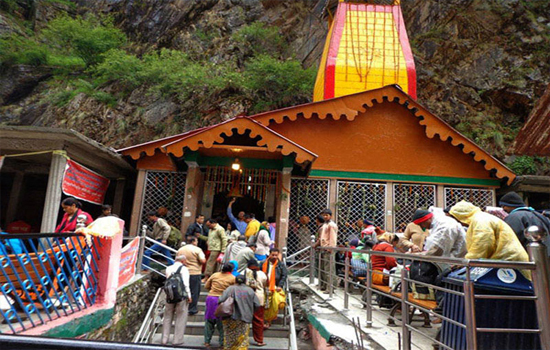 Chardham Tourism provide Gangotri Yamunotri Yatra in one Tour. 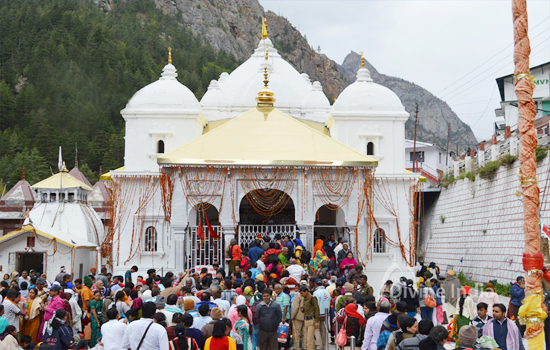 Gangotri Shrine is situated at an altitude of 3200 m above sea level, and is 100 km from Uttarkashi. Yamnotri Dham is situated at an altitude of 3293 meters above sea level, Yamunotri is located in the Uttarkashi. Kedarnath and Badrinath is going to begin from the month of April and goes till the end of November. This is the best occasion to visit these Dham and get pleasure from the lovely attractiveness of the atmosphere and nature. Chardham Tourism provide Gangotri Kedarnath Badrinath Yatra in one Tour. 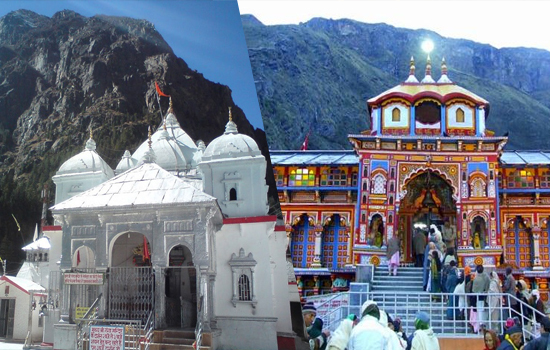 Gangotri, Kedarnath, and Badrinath is a part of the famous Char Dham Yatra. It is an extremely beautiful spot set amidst the royal Himalayas. It has great mythological meaning and is blessed with natural attractiveness.